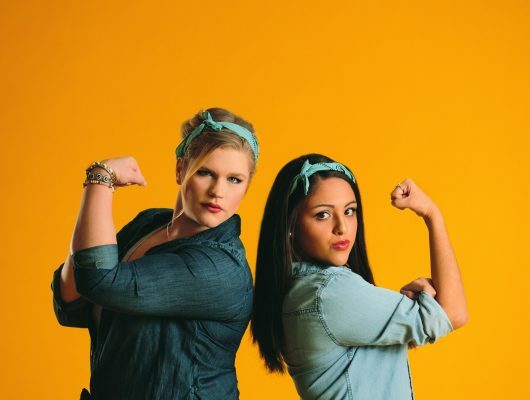 Mary Honaker and Carla Gracia on Thursday ended their bid to become the next leaders of Ohio State’s Undergraduate Student Government. Their dropping out of the race came amid allegations of overspending on their campaign and having connections to an apparent nationwide effort from a nonprofit to funnel money into student government races across the U.S. Neither admitted to wrongdoing, with Honaker, a third-year in international studies, casting the allegations as attacks on her character. Both Honaker and Gracia, a second-year in political science, posted the statements on their Facebook pages on Thursday evening. The news of their withdrawal ends a turmoil-tossed week for the campaign, which began after The Lantern reported Tuesday that Turning Point USA, a conservative nonprofit, was sponsoring their campaign as part of a nationwide effort to get conservatives elected to student government positions, according to leaked text messages and audio detailing conversations with TPUSA staffers. Then, earlier Thursday, a brief alleging the Honaker and Gracia campaign breached the $4,000 spending limit for USG elections was filed to the Judicial Panel by another USG campaign, that of Stephen Post, a third-year in economics and political science, and his running mate Lauren Todd, a fifth-year in English. They said they obtained their evidence from someone within the Honaker and Gracia campaign who spoke out after the TPUSA connections surfaced. A slew of resignations followed the filing of Thursday’s brief, with campaign managers and advisers jumping ship from the Honaker and Gracia campaign, making Thursday evening’s withdrawal seemingly imminent. The campaign denied the TPUSA connections when they arose. The campaign, as well as one of the TPUSA staff members named in leaked text messages and audio, Kennedy Copeland, said TPUSA approached the Honaker and Gracia campaign with an offer but was rebuffed. Questions about the timeline of that rebuffal have gone unanswered by the campaign. Neither Gracia nor Honaker addressed Thursday’s Judicial Panel filing or the allegations of covering up their alleged overexpenditures in their statements. Voting is open online from Monday to Wednesday, with three presidential campaigns remaining. Those campaigns are the Post and Todd campaign, the Brooks brothers campaign, and the campaign of Andrew Jackson, a third-year in Spanish and political science, and his running mate Sophie Chang, a third-year environment, economy, development and sustainability. …Does anyone else see the blatant bias in this sentence? Wondering why the author of this story was unable to represent the remaining campaigns equally. It’s not bias. I initially thought so but then realized Jackson and Chang had not been previously mentioned in the article (since they were not relevant to other parts). So just like the author wrote descriptions of everyone else in the campaigns after they were first mentioned, he had to do the same with Jackson & Chang even though it was at the end of the article. I can see how without context, that paragraph seems biased. However, the first two campaigns are mentioned earlier in the article, and the year/major of each candidate is stated then. It would be redundant to state the information again in the last paragraph. Detailing the Jackson-Chamg campaign here is to actually equally represent all three. The Brooks Bros are also very closely aligned w TPUSA, and now that the national arm has been seen trying to interject itself into our campus why are they not being looked at closer?